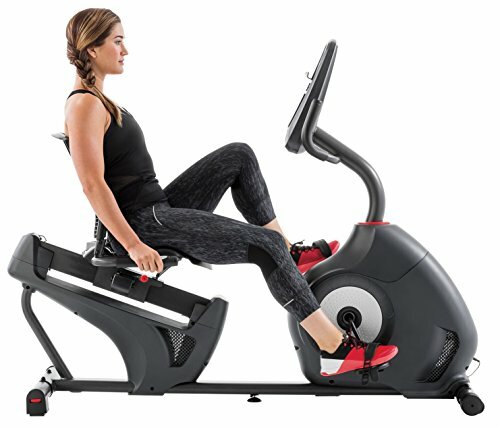 Bottom line: The Schwinn 230 Recumbent Bike gets our recommendation based on its balance of features, quality and price. This bike is among the more popular available in the market today. If you’re looking for a good quality bike at a reasonable price from a reputable brand, then it might be the bike for you. It provides great comfort during exercise so that you won’t feel too much stress on the wrong parts of your body. This comfort makes it a best rated recumbent bike for seniors and any other athlete. That’s why it’s a top contender on our Best Recumbent Bike list. It has all the necessary features to move you towards meeting your fitness goals. It’s one of the best bikes in its price range and is on par with some bikes in the higher price bracket. The Schwinn 230 is a more affordable and compact version of the Schwinn 270. It has 20 different resistance levels and 22 workout routines built-in. That’s only five resistances lower and seven routines less than the higher-end model. 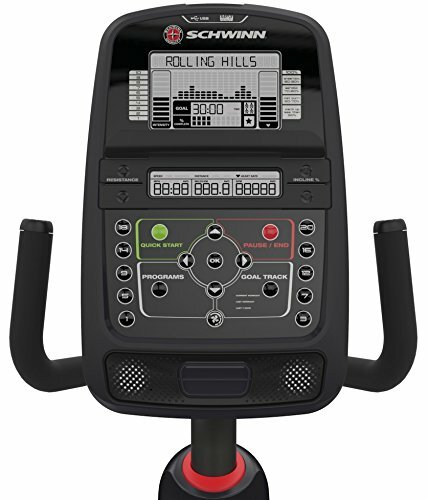 You also get the same connectivity provided by the Schwinn Connect app. The differences between the two models are small. The Schwinn 230 does not have Bluetooth and that you can’t use a chest strap heart rate monitor with it. Aside from that, it’s very close to the higher-end Schwinn 270. If you can live without these features, you’ll be saving a lot of money. 20 varying levels of resistance using the Eddy Current Brake (ECB) system. This offers lighter resistance for people needing less impact. The Schwinn 230 has 22 different routines that fit different uses. There are nine preset programs in the machine. This includes three fun rides, three mountain rides, and three challenges. For cardio, there are eight heart rate programs to choose from and another two to measure physical fitness. There are also two user profiles for you to store any workout information and personal data. You can later access it via USB through Schwinn Connect. The data storage includes the time spent, interval time, and revolutions per minute. It also includes distance, pulse, calories burned, watts, speed, and resistance level. This is vital to anyone monitoring their performance. This shows concrete data to see where they’re going. The bike will usually come disassembled and would take a few moments to get set up. This is due to the vast amount of parts needed to create this wonderful machine. You don’t have to worry too much about it though since there’s a well-illustrated manual included. This will help so you’ll know which part goes where. The transport wheels are also a good addition since it allows you to move your bike around. This removes extra hassle of disassembling it and putting it back together. Also, since it’s more compact than the Schwinn 270, it takes up less space and is a little less bulky. You might need to clear up some space up to 2 feet from the sides of the bike to ensure you can work out in comfort. Another thing to note is the excellent console. It shows you everything you need to know using a Dual Track LCD monitor. The console also has an auto shut-off function that turns the machine off after 5 minutes of inactivity. There’s no power button on the console, but any button press can instantly wake it up. The console also has the option to change that for you. This way, you don’t have to worry about converting your data and in turn have a better focus on your workout. There is also a Quick Start button included on the console to start with the manual program right from the get go. It allows you to jump in straight ahead without having to scroll through programs. This is for those who are looking for a quick and convenient workout. Although it’s relatively at the mid-range price point, its quality is no joke. If you’re one of those consumers who chooses a product because of its brand, then you won’t be disappointed. Schwinn has held its ground when it comes to exercise machines. These include steppers, upright bikes, recumbent bikes, and many other home gym equipment. They have over 100 years of experience under their belt, and they don’t disappoint with this product. The high-speed, high-inertia perimeter weighted flywheel is great. That, and the 20 different levels of Eddy Current Brake resistance adds value to this product. That plus the sleek design makes it a great choice for both beginners and veterans alike. Also included in the mix is a 10-year warranty from the company. This shows how much they trust and value their machine. The product measures at 66.5 x 27 x 12.5 inches, which is a little less bulky as compared to other bikes. A prominent question when it comes to recumbent bikes is the comfort that the seat provides. The Schwinn 230 includes a vented seat bottom with contours for the leg area for more comfort. The back part offers support for your lumbar and is also vented for cooling. If you have problems reaching one end of the bike, the seat is adjustable. You can do this with its adjustable slider seat rail system that’s operated by a lever on the side. For people who have issues with balance, there’s also no need to worry. There are two integrated levelers with a center frame support that fixes the machine in place. It ensures a solid workout without worrying about the device falling apart due to the excessive use. It also features an oversized crossbar tubing for added durability and stability. Not for tall people: The bike can support up to 300 lbs as per the manufacturer’s recommendation. But what they didn’t take into account is the user’s height. Checking the dimensions of the bike, you’ll see that it’s built for people who are between 5 feet to 6 feet in height. So people above or below that range would have problems using the bike. They would also have great discomfort using it. Aside from that, it’s a good piece of equipment. The company also thought about how intense your workout can be. That’s why they have included a 3-speed fan to help you balance out whenever you work out. This is also a good way to cool down after a workout. It can also help bring a more comfortable experience during the hotter seasons. The Schwinn 230 bike makes use of 20 different Eddy Current Brake resistance system. If you’re not sure what that is, here’s a quick rundown. The Eddy Current Brake system has a magnetic yoke with electrical coils. This generates “brakes” through the use of magnetism. It’s like what high-speed trains use and ensures that the tension does not change in the long run. This also provides an accurate tension measurement. And since there’s no mechanical contact, wear and tear is not an issue. Since it only has magnets doing the work, there’s no irritating smell from mechanical pieces rubbing together. There is also no noise that might break your rhythm. As we mentioned earlier, it’s a more affordable version of the Schwinn 270 Recumbent Bike. If you’re looking for added functionality like Bluetooth or a chest strap, then this bike might not be for you. You can spend around $200-$300 dollars more to get those features. But since you’re getting another product from Schwinn, it’s still worth it. There might be some issues with the handlebar grips being the heart rate monitor, but it’s not a big issue. You have to hold it for a good 15-30 seconds during your heart rate routines to get accurate readings. As we said, this is not a big issue since it’s also what other bikes in this price range lacks. Looking at this recumbent bike, it has no manual brake system and relies on the ECB resistance system. This system would require your bike has to be plugged into a wall outlet before you can get any effect. So you won’t be able to use its full potential if there’s no power, or if you’re concerned about high electric bills. It has all the basic features of a recumbent bike plus you won’t get another bike of the same quality in this price range. Schwinn made sure that this product is great for their users and they included a 10-year warranty. It also has two years for the mechanical, one year for the electric parts, and 90 days for labor. 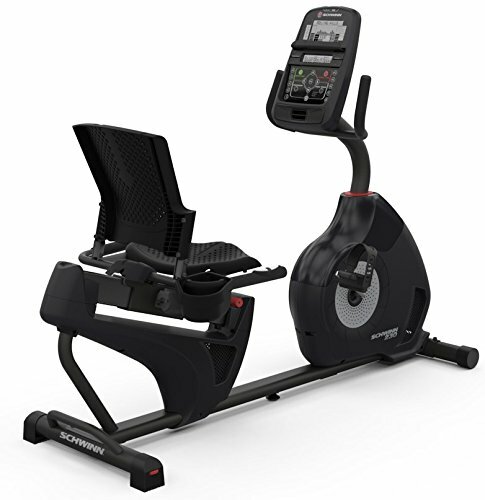 It’s great value in comparison to the Schwinn 270 Recumbent Bike, which is around $200-$300 more in value. It’s like getting a high-end bike for a discount! The seat might be too hard for some people. It’s not padded like the Schwinn 270. 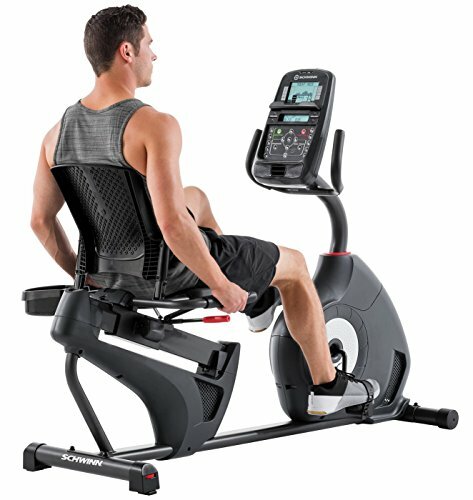 The Schwinn 230 Recumbent bike is more on the mid-range price point. Prices can vary from $320-$600 depending on the time of purchase. Don’t be too concerned about the price since it offers good value. If you’re looking at a higher end product that does mostly the same thing, prepare to shell out around $300 more. Don’t spend on lower priced recumbent bikes since they might cause more harm than good. There’s no guarantee that the durability and the stability they have can withstand the test of time. So be smart during purchase and choose a mid to high range product so you can be sure of its value. 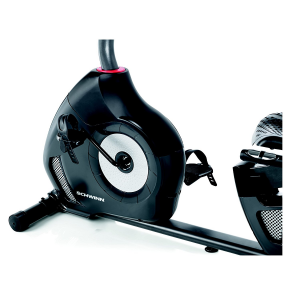 The Schwinn 230 Recumbent Bike is a great choice for starters and advanced users. It offers a broad range of features that every recumbent bike should have. The greatest value of the product lies in the 20 levels of Eddy Current Brake resistance system. The high-end Dual Track LED display is a big plus as well. The point of having a magnetic system as compared to the mechanical types is remarkable. Not only does it reduce noise, but it also gives a steady and constant tension throughout the workout. The pre-programmed workouts are also part of a great deal you’re getting. 22 different workout modes including 9 Profile Programs. It also has 8 Heart rate programs (4 for beginners and 4 for advanced users), 2 Fitness Tests, and 2 User Profiles. It creates an overall experience similar to that of recumbent bikes that cost more than $1000. 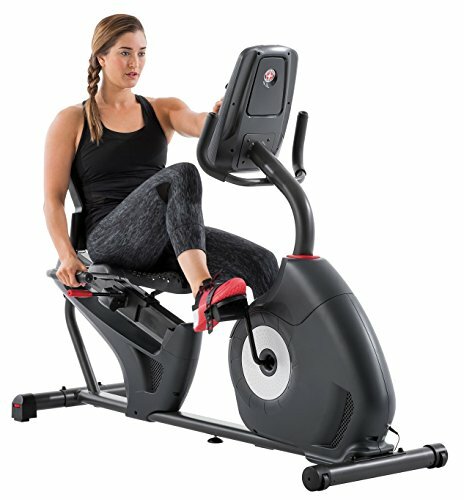 If you’re considering getting a recumbent bike that’s a good value for the price, you won’t go wrong with the Schwinn 230. You’re sure to get your money’s worth from this Schwinn product. Even at the lowest resistance my bike is very hard to pedal and I’m breathless in 2 minutes… much different than the bike at the gym. Is this normal for this bike or maybe I put something together weong? We have the same problem as Carrie except we can use it at resistance 2, maybe 3 for very short periods of time. We have used other bikes and have been able to use them at a much higher resistance level. Is this normal or do you think there is a problem? My Schwinn 230 will not power up?